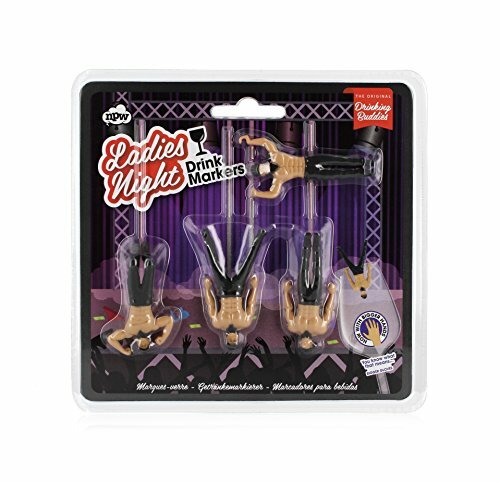 Get ready for a fantastic ABS party with this set of 4 Cheeky ladies night drink markers. Aptly named Mike, these hot hunks will show off their best moves to impress you and your friends on any occasion, such as a bachelorette party, pool party or just a night in with the girls! these hunks are ready to Swing into action so just attach your Buddy to the side of your glass and get your dollar bills ready! it's always time to have a laugh with NPW whether it be a birthday, office prank, sleepover, party or just because you want a mega LOL. NPW lives and breathes cheekiness. Entertain friends with hilarious gifts and gadgets that will crack them up! there is never a dull moment with NPW in your life!